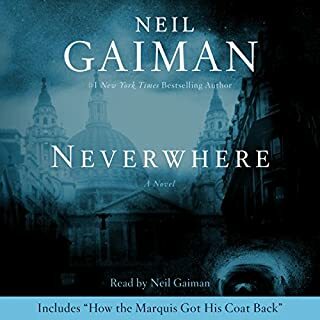 The storyline is beautiful, and I got carried away reading the audiobook so much so that there were times while playing it in my car, I did not want to reach home. 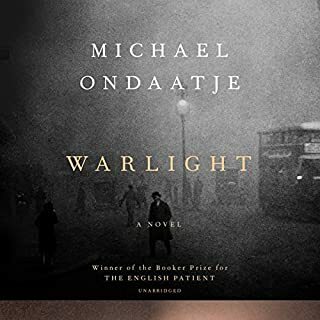 People would also identify closely with Richard Mayhew, the protagonist, or at least one protagonist of London aboveground, his psyche and his thoughts. Without giving much away, the ending made complete sense. There is also the aspect of this novel being more 19th century than 21st. Charles Dickens come to mind. And did I say that the narration by the author was wonderful? It was. I also learned a lot about the history of London in a delightful way. Overall, the conclusion seems to be, we live in a safe and sterile and comfortable world, at the expense of adventure and excitement in our lives! 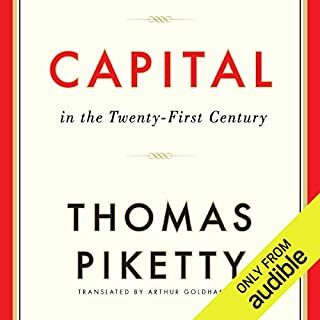 An important book that goes through about a century and a half of historical economic data to illustrate the level of inequality in France, Britain, US and other countries (but less of other countries). As a non-economist, the audio format was very useful to me to get through (even though it was 25 hours approximately). As Piketty said somewhere economists need to look at historical data and come to their own conclusions and in his case, this was very well done. Examples for 19th century literature - Austen, Balzac were fascinating. 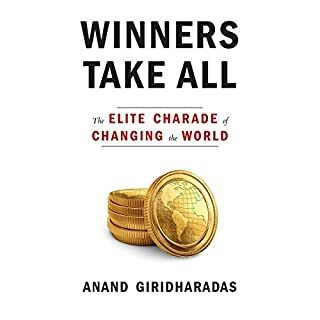 Giridharas takes us through the elite charade of corporate and billionaire philanthropy taking place in the US for a generation, the last 40 years. The fact that only the business world can solve our intractable and structural problems is taken down very effectively. The very same people who contributed to societal breakdown and the downfall of globalism solving world problems while at the same time not tackling their own complicity in creating these problems is shown in the book in many case studies. Tisch, Sackler, Aspen Institute, Darren Walker (President of Ford Foundation) as well as some young aspiring do-gooders on the threshold of a career and are all examined in great detail. Clinton Global Initiative and President Clinton himself who contributed to the mayhem caused by global trade treaties signed by him that weren't well thought out are examined in this book. I would recommend everyone read this book to see how things really are in the world of philanthropy and in the state of our union in the US. 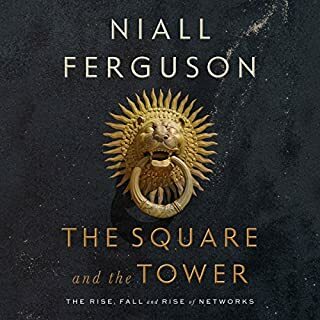 I will never fully agree with Niall Ferguson on political philosophy and economics and therefore this book it seems to me is a good starting point on the history of networks - social and political and of other stripes - but the commentary is something I did not agree on. An example would be the financial crisis. He began by enumerating the reasons for the crisis, some of them being financial regulations not being in place and enough empowerment of the Fed to do something immediately. He praises Bernanke who knew how to handle it from his past research on the Great Depression. But then a few paragraphs later to says the Dodd Frank Act - one of whose aim is to increase reserve capital that a bank must hold for times of crisis - is stifling because it is a hierarchical act imposed on networks (his thesis) and will not help in the future! One of the facts for the crisis is that almost all the top banks did not have enough reserve capital. I found the book interesting and a starting point for one's own investigation on networks. But because Ferguson is a small 'c' conservative with whom I would never agree (small Govt is good and all that, Reaganism and Thatcherism redux), I found the book mediocre at best. I read this book with great anticipation and I was not disappointed. Although to be fair, Jaron Lanier is a technologist and computer scientist and not an economist, policy maker or philosopher. He does have understanding of social sciences and some humanities though. Lanier's book is a warning about "siren servers" like Facebook, Amazon, Google and the like. And written in 2012 before the 2016 election, it has proven very prescient about the harm that a siren server like Facebook or Twitter can do. Beside taking away fields like journalism (which he said has already taken place in 2012), Facebook proved poison to the idea of democracy itself, selling data to Cambridge Analytica and thus sowing the seeds of discord and fake news to swing the election to a conman. He has many solutions to the problem of the siren servers and the "non humanistic" economy that we have now because we gave away our data for free. The solutions seem to me to be abstract and he says he can't really get specific with them because no one knows what the future will bring.. Even so, one must look at his solutions carefully to see if there are ideas that can be borrowed from him. He says the economy must be fairer and more "humanistic" and I can't agree more. One shortcoming according to me is that the book keeps coming back to the same point: the siren servers and how to reduce their monopoly. But perhaps that was his intent all along. After all, he is a top level technologist of the same caliber as say Steve Jobs. Many blame today's economic inequality, stagnation, and political instability on the free market. The solution is to rein in the market, right? Radical Markets turns this thinking - and pretty much all conventional thinking about markets, both for and against - on its head. The book reveals bold new ways to organize markets for the good of everyone. 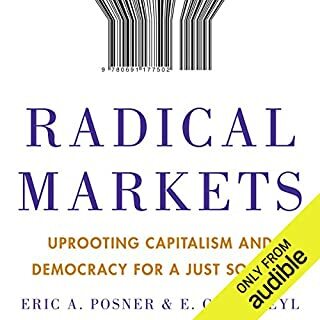 This book 'Radical Markets' lives up to it's name. It is full of ideas on how to reform monopolistic tendencies in capital markets, property rights, voting, democracy, allocation of other resources and public goods fairly to reduce inequality, bring about fairness in elections etc. It gives a beautiful history of ideas from Adam Smith, to the utilitarian philosophers Jeremy Bentham, John Stuart Mill to modern day. Starting with Henry George's ideas on auctions, it builds new ideas about property rights, voting, capital markets etc. These ideas are based in economic theory, and seem to make sense. And the authors say these ideas would increase world GDP significantly in the future if tried out. The last chapter states clearly that these are far-out ideas that must be experimented with in small ways. If they are wrong, they can be discarded without any harm. The authors humbly state that economists cannot predict human behavior which can circumvent any system for their own gain. Yet they say these ideas take advantage of this human tendency to create a more just and fair society where allocation of public goods such as land is fair. 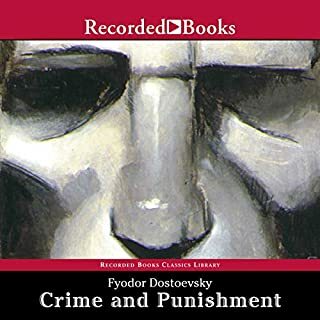 The narrator wasn't very good, he was very mechanical in his delivery and often emphasized the wrong words, which makes for difficult listening. Still the book was very interesting to be. President Obama recommended this novel and being a fan, I picked it up. I did not like it as much. To me, a thriller and a mystery moves much faster than the pace in the book. It was long and a bit dreary given the subject matter. I've read the previous books by Harrari - Sapiens and Homo Deus. 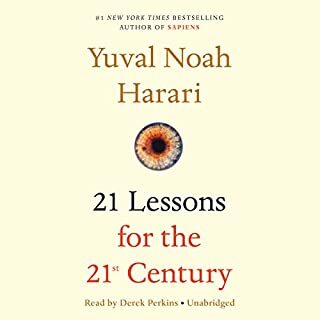 Although this says '21 lessons for the 21st century' this book is more about trends in the 21st century from Harrari's unique point of view than "lessons" which implies some knowledge or conclusion he wants us to draw. He discusses politics, social media, economics, anthropology, philosophy, religion, belief systems and many other topics with his own spin on it - a unique spin which seems very convincing. Lastly he discusses what an individual can do in the face of losing "individuality" meaning what is our "mind" whether that is separate from our brain. This is a threat that is very real given the technology companies are out to manipulate us in a very "Brave New World" way. In the last chapter he discusses Vipassana which is a Buddhist meditation technique which he says helps him understand the mind better than any book could. I enjoyed reading this book very much and would recommend it to anyone who wants to get a different opinion from the traditional one - whether liberal or conservative. 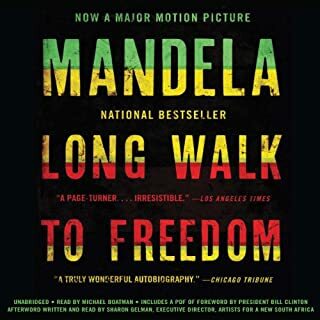 This is a must-read for everyone trying to get out from under a despot - or protest would be despots, racists and other extremists of every stripe. He clearly elaborates on what made ANC different from his point of view.